Have read, #amreading, want to read! I owe you a review, and I’m soon to owe you lots of reviews! Here’s the latest that I’ve finished reading, what I am reading, and what I want to read! 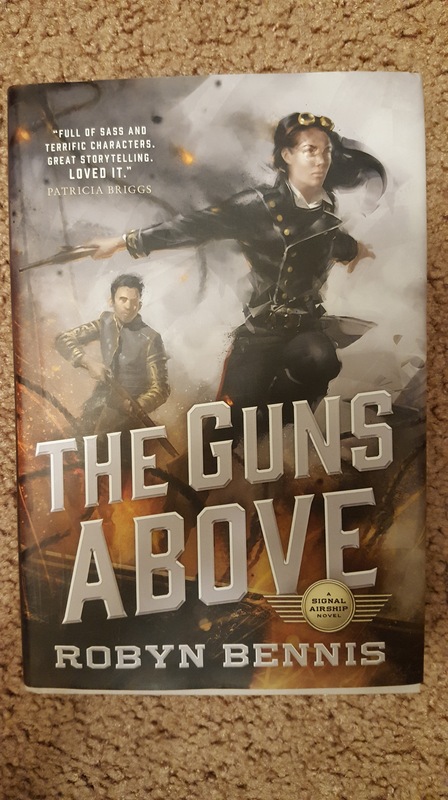 I recently finished reading The Guns Above, by Robyn Bennis. 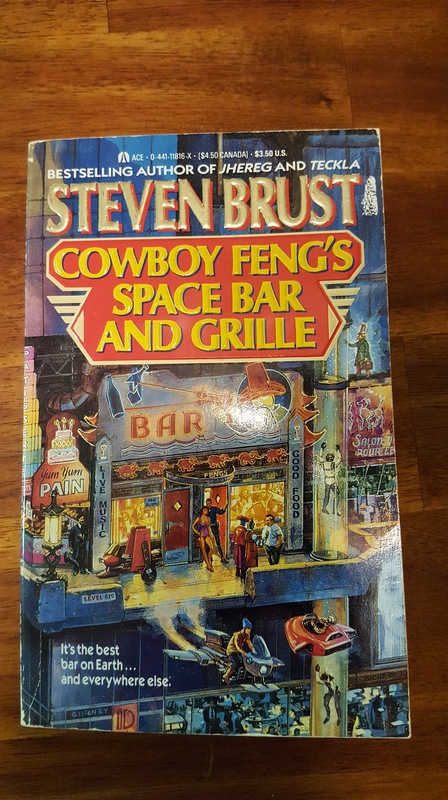 Fun read, tons of snarky and sarcastic dialog, great characters. Fans of Bennis’s work are already excited for the sequel! and speaking of sequels. . .
Noumenon Infinity is Lostetter’s 2nd Noumenon book. My dad liked the first book so much we’re reading the second one together! I’m about 150 pages in so far, and while the story is completely different from the first book in the series, I’m enjoying myself. There are two AIs who don’t know that each other exist, and I am hoping that they’ll meet each other before the book ends. These are two AIs who have always been singular and been completely alone. if they meet each other, it will be a little like a first contact story, but not. and then they won’t have to be alone anymore. You can read my review of the first book, Noumenon, here. 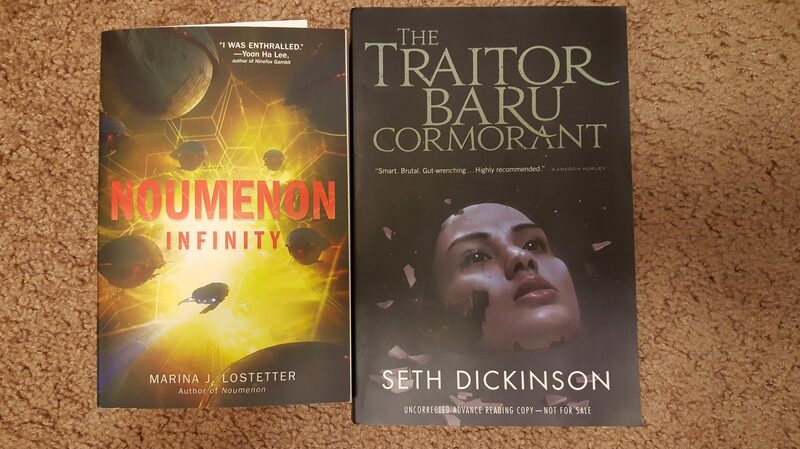 The Traitor Baru Cormorant isn’t a sequel, but it has one that will be out at the end of October. When Traitor Baru Cormorant came out, reading this book just about killed me. Every page is gorgeous writing, i want to protect these characters from pain but i know nothing I do will change anything, because as a reader, I am powerless. I need to know what happens, so I can go into the sequel with fresh wounds, you know? 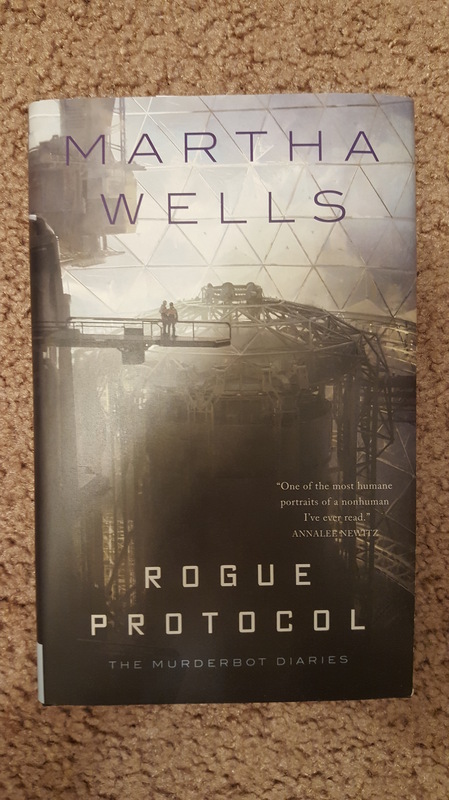 because who doesn’t want to read a Murderbot book? Getting to read this book will be my reward for writing the review for The Guns Above. 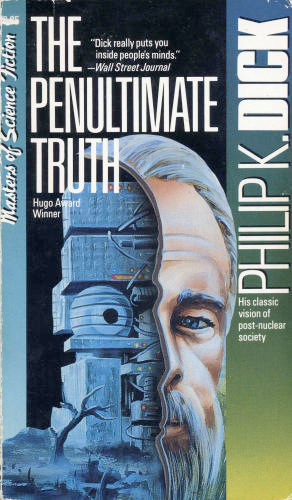 That 2nd Murderbot book had quite the effect on me, I’m interested to see what this book does to me. You trust your government right? Ok, maybe not 100%, but at least when it comes to defense of the nation and keeping our citizens safe, you trust the head honchos, right? Nicholas St James and his entire community follow that trust. They remember being shuffled into underground shelters when the bombs fell. They remember being told that it would just be until it was safe to come back to the surface, two years at most. Nick and his family and his community listen to the radio broadcasts, they watch Talbot Yancy speak on TV, they know if they just wait a little longer, that it will be safe to go above ground, and that one day soon their children will see a sunrise and a sunset. One day the war will be over and the citizens of the tanks will be able to stop building and repairing the leadies who fight for the people’s freedom every day. Without trust, there would be chaos and death. They’ve been in these damn tunnels for thirteen years. Meanwhile, Joseph Adams lives on his estate in California with a phalanx of leadies who are mostly used as house servants and security guards. On a daily basis he flies to his job in New York, where he works as a Yanceman – writing the speeches that will be fed into Talbot Yancy. Who is a robot bolted to an oak desk. Adams and his peers literally write “fake news”. So much so that fake documentaries were even made that all children watch in school, and most adults have nearly memorized, documentaries that convince the people in the shelters that the government did what they did to protect their own people from harm. The Yancemen take their orders from Stanton Brose, who effectively rules as a feared regent. In Brose’s attempts to rule forever, he has had multiple parts of his body replaced with artificial organs, known as artiforgs. There may be half a dozen artificial hearts or artificial livers in existence, but according to Brose, they are all reserved for his use. Oh, there was a war all right, between West Dem and Pac Peop. And there were bombs that fell. Most of the actual fighting was done by leadies. The American government shoved as many people as they could into underground shelters, and those who survived above ground lived our their sterile lives in park like surroundings, with leadies to do their bidding. It’s so beautiful and empty up here, no dirty workers anywhere. Maybe we’ll wait just a few more years to bring the people from the shelters up, yeah? Because it’s just so nice up here, with only our friends up here. Those filthy people who came up on their own? Oh, they are housed in prison-like apartment complexes, where they have a roof over their head, food, their medical needs are seen to, they’re even given jobs!